This spa is perfect for those that want the very best spa available with a luxurious lounge. When you sit in the major therapy seat, you get total therapy neck, shoulders, upper, middle and lower back. complete. 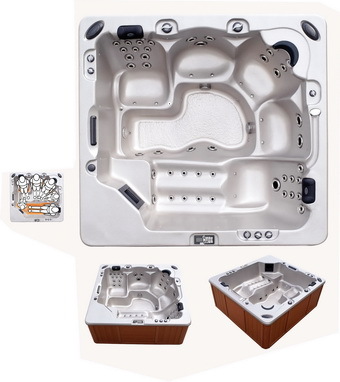 Imaging how much fun you will have in your very own SPA or HOT TUB!